Hair, like more conventional materials, can be considered an artistic medium that professional hairstylists mold and shape into an ideal form-- and if there’s anything that textured hair does exceptionally well, it would be its’ gravity-defying shapes. Some of these styles really push the envelope by experimenting with the true versatility of curly, coily, and wavy hair. With so many textures and curl patterns, the possibility for originality is boundless. Curls in any form are beautiful, but there’s nothing like curls with an amazing shape! Here are 10 haircuts with brilliant shapes and angles for all of the creative curlies and naturals. 1.) This artsy, oblong-shaped cut. Martha’s cut features long layers on the top and short on the bottom to achieve this lively shape that almost seems to be suspended in air. Her cut was done by the master of curly cuts and creator of the “Mona Cut,” Mona Baltazar. Spring calls for a new do! Those of you on the fence about going short, now is the time to go all in. This short cut by curl stylist, Evan Joseph, is so chic and unique. Zoe is serving looks and beautiful short curls. The bluntness of the weightline at the bottom adds a little bit of edginess to the cut. This kind of cut looks amazing on 2c waves. The added bangs and way the curls seem to come towards the face makes for a very distinct look. This is also a Mona Baltazar creation. Isabelle is embracing frizz and angles with this curly cut. The side part in this style really helps to create a fabulous, dramatically slanted shape done by curly hair stylist April Kayganich. Germania’s rounded cut seems to frame her face perfectly! Angular cuts are very fashion-forward, but rounded curly cuts will always be a classic. Also reminiscent of a heart shape, this cut focuses most of its weight on the crown of the head, creating a soft and round shape. The highlights of color are eye-catching, as well. The Black-ish and Grown-ish actress looks glamorous and refined with angular curls. The bangs really tie the look together and frame the face. Who says you can’t have length and a defined angular cut? This stunning haircut by Mona is beautiful and layered to perfection. One of the biggest trends of 2019 is short and bold cuts. We’re in love with this pixie cut by Coco Elaine. Ready to get experimental with your curls? Are you using any of these as a reference? 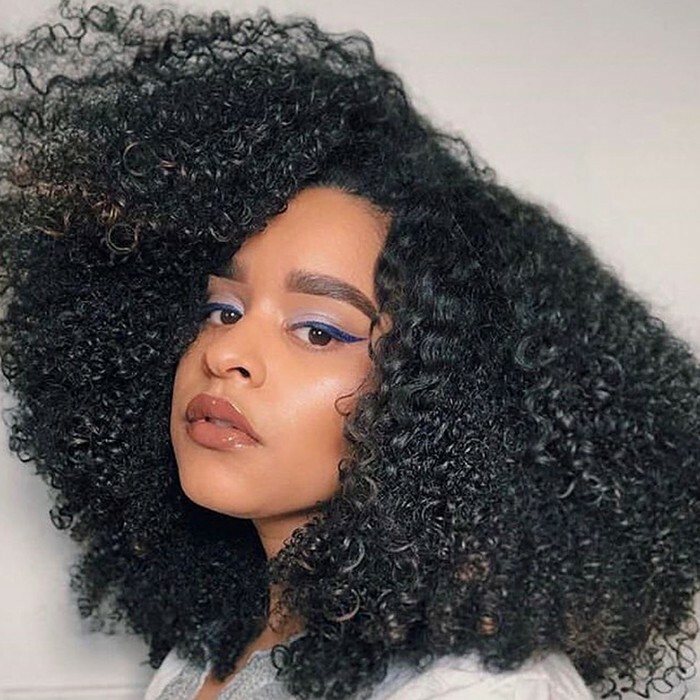 Tell us about your own creative curly haircut experience in the comment section. In the meantime, here are some things to consider before your next cut.